The clarion call has always been there—an echo in memory that is a constant tug on the present. The wanderlust rooted in my soul has an enormous appetite. It never goes away; it has a haunting quality. Attempts to evade the lure of the open road are exercises in futility for me. Its promise of new sights and circumstances can be overwhelming. There have been years when it faded into the background noise, but it easily makes its presence known. I hear it in my heart; I see it in a character of a novel, a storyline in a movie, or in the glory of a sunrise. It peeks around corners in my mind, popping up randomly to smile, taunt, or beckon me. There’s no escape from it—it demands full surrender, but since financial wealth has never found me, the only option is to negotiate settlements that feed its hunger. The nomadic urges are the result of ancestral genetics and upbringing; the near perfect coupling of nature and nurture. It’s likely that the gypsy in my blood is the sap flowing from several branches of the family tree. My parents, along with other adults in my childhood, cultivated curiosity in me. To learn something, to find an answer, to gain a fresh perspective, to be astonished by wonder and mystery—these were the essentials to treasure. I embraced the instructions and pressed them through the grid of the happenings around me. I grew up a half-mile from a spur of the Canadian National Railway. Two hundred yards in the other direction from our house was the north shore of Lake Erie. That innocent sounding geography had a sway on me that settled in the deepest part of who I am. At night I’d lie in bed and listen for the mournful whistle of the ten o’clock train going to someplace faraway. It would take me with it, my imagination lit up and racing wildly as I rode the rails to mostly western locales. Bonanza on NBC and Gunsmoke on CBS were Sunday and Monday evening staples in our living room, so my train-inspired dreams took me to Nevada, Dodge City, or Abilene. The lonesome sounding whistle wasn’t alone in its impact on me. There was a counterweight melody that put its pressure on my psyche. Often, especially in springtime and autumn, I’d wake up to the long B—O of a foghorn. The bull-throated signal guided lakers and ocean freighters safely to the mouth of the Welland Canal at Port Colborne, three miles away. Those big ships carried cargo to and from intriguing ports of call like Duluth, Gaspé, or Dover. The World Book Encyclopedia was a crucial resource. Its volumes were on a bookshelf in our living room. I’d read all about distant seaports, all the while weaving an improbable storyline that’d culminate with me walking those streets. 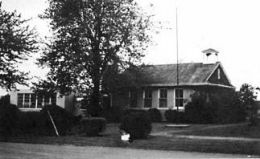 Grades four and five were spent at Carl McNeil School. It was a combined class so I had the same teacher for both years, a woman destined to have an influence that remains significant. She inflamed my latent inquisitiveness and infused my education with intensity by constantly challenging me to think. It was in that three-room schoolhouse that history, geography, and the social sciences became a matrix that’d endlessly fascinate me. Mrs. McIntee was one who did not suffer fools gladly, which seems to have been the common denominator amongst all the adults within my circle. She placed expectations on students and pushed them hard. She taught with a methodical rigidity that evidently appealed to me. It was the explorers that captured me in these years. 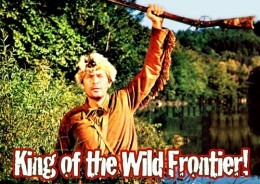 I’d already become acquainted with pathfinders like Daniel Boone, Davy Crockett and Kit Carson via Walt Disney’s presentations on what my father referred to as the idiot box. My knowledge about these trailblazers was supplemented by my World Book companions or routine visits to the Port Colborne Public Library. In Mrs. McIntee’s classroom some swashbuckling stories took hold of me. Bartolomeu Dias, Vasco da Gama, Ferdinand Magellan, Francis Drake, and other daring men of action carried me up and down the Barbary Coast, around the southern tip of Africa, onto India and beyond. When Magellan, and then Drake, circumnavigated the world, I was right there with them. It was all so vivid and real to me. I could close my eyes and be on the deck of the Golden Hind in the Thames estuary when Queen Elizabeth I came aboard to bestow a knighthood on the patriot pirate. Sir Francis Drake churned up in me a desire to confront danger and reach for the impossible. However, before those expeditions on the high seas, it was an Italian merchant who truly dominated my flights of fancy. When I discovered Marco Polo it was as though I’d met an old friend. There’s little doubt that I projected much of my meandering daydreams onto him. As decades disappeared he faded into the rush of life, but then, in 2006 he came back for a visit. 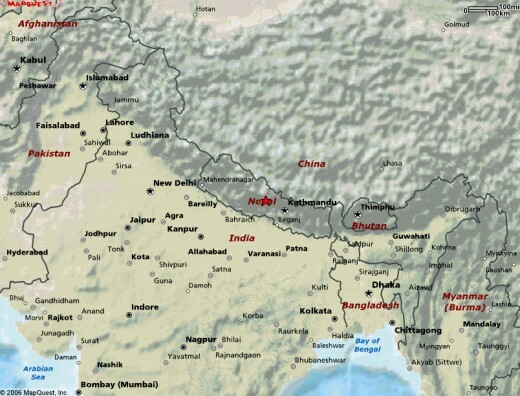 In a fortuitous twist, an opportunity opened for me to go to India and Nepal. I hadn’t been looking for it, so it was a neat surprise. Did I actually walk in any of the footsteps of the medieval fortune-hunter? Not likely, but hanging out in the same general region that Marco Polo passed through, made the little boy inside the man giddy. Early one morning, on a mountaintop outside of Kathmandu I was hit by a stunning sense of awe as the sun rose over the Himalayas. It struck me like a hammer—so forceful that tears welled up and spilled down my cheeks. It was all I could do to not convulse and weep uncontrollably. I will not pull Bonnie’s pigtails. I will refrain from disrupting the class. I will not be late for school. I will finish my homework on time. There was no redundancy in this exceptional teacher’s modus operandi. I have no idea how others reacted, but her tactics kept me motivated. Whenever I’d commit an infraction, which was quite often as I recall, she’d hand me a dictionary, tell me to turn to a specific page, copy it out, and have it on her desk the next morning. Many lunch-hours, recesses and evenings found me laboring away deliberately. Getting cramped up fingers and wearing down pencils to nubs wasn’t even close to Mrs. McIntee’s intentions. Upon delivery of each assignment, I’d wait for her response. She’d carefully look over the handwritten notes, and then, select a word at random to complete the behavior management exercise with flair. Standing straight and tall in front of her, I’d be required to spell the word, provide its meaning, and use it in a sentence. If I aced her first choice, I could return to my seat, but if not, there’d be a second and possibly a third or fourth word singled out for me to demonstrate my aptitude. All that mattered was whether or not she was satisfied that I’d learned my lesson well. Her exactitude meant that while I painstakingly wrote out dictionary pages I also applied the tool of memorization, seeing each word as it formed itself in my mind’s eye. The result is that I established a lifelong pattern of nurturing words and phrases to grow an extensive vocabulary to accompany me on all my journeys. The rambling is much more than merely physical—there’s a spiritual element to it that’s mystical. It’s enhanced by the soundtrack of my life because music strums chords in the rhythms of my heart. The playlist is populated by a multitude of road songs, but I’ll only mention one here. Four Strong Winds, written by Ian Tyson, and recorded by everyone and anyone is possibly the most elusive folk song of all-time. Its evocative imagery sets me adrift on its currents. Hearing it is an invitation to travel on some unfamiliar byway or bayou. To see a new patch of countryside always stirs a thrill in me. I consider the tales the trees could tell of those who’d come along to take up residence. Shadows from times gone by become stories that are instantaneously alive. Walking beside a river takes me to marvelous places. I can be with French Canadian trappers gathering beaver pelts for the Hudson’s Bay Company, or enter an encampment of Shawnees to be welcomed at their campfire. There could be a sojourn along an uncharted avenue, or a rest stop near a waterhole in an expanse of desolate badlands. When engaged in footloose wayfaring, who can say how hard or from which direction the four strong winds will blow? I regularly traverse an interior landscape of gritty introspection and grim realism. Age, miles, and experience have worked their madness and magic on me—all of which grants me bits of wisdom that are fragile and fallible, but in a broke-down engine world, frequently that’s the best we can achieve. My perspective has been tempered by a tough-minded pragmatism that only knows how to go forward. Good, bad, success, failure, defeat, surrender—these terms are defined within the context of an abiding determination to see what’s around the next bend in the road or over the mountain dominating the horizon. My vagabond bootheels started wandering many and still counting decades ago. Each morning brings its own venture or contingency to be reconnoitered. It’s simply life unfolding with all its creases and vagaries. Nearly every nighttime, finds me stargazing off into the distance, encouraged by the great unknowns of an undiscovered frontier. Whatever comes next, it’ll be an adventure of one kind or another.